Erick Jon : At first it was not very easy. In Cuba in the 90s I had to reach out to some tutor or teacher who was at that time in the music business. I speak of renowned artists. My luck was going to knock on doors. One of my actual friends was singer Beatriz Marquez. She saw in me something interesting. I did not know at that time I could sing. My voice is not where it came from. And I said why not try. Evelyn Garcia Marquez, daughter of my teacher and friend who I know very well today, was the one who inspired me. From that moment I started to sing to her songs I listened to on the radio. Now I realize that I had the same tone of voice, but at that time did not even know it . Therefore the interest of my teacher to go ahead and continue receiving the support needed to start a new life, although I did not even know what she was doing. I was just a young man who loved her style, her singing and melody. Today, thanks to them I am what I am. Over time many more established artists realized my existence and all began to support my career. The most famous Cuban singers like Bobby Carcasses, Omara Portuondo, Ela Calvo, Fernando Alvarez and others trusted me. All the myths and the stars of our national culture. Some are no longer in this world and others enjoy an eternal health. Twist Online: You started your career at a very young age. Who or what inspired you as an artist growing up? Erick Jon: As I previously said, I realized I could sing. In this case, whenever I heard my two idols on the radio and sang to them, I realized that my voice was flying. And there I realized that I could move on in search of an identity. Therefore, the interest was my teacher. I learned about sleeping eight hours, practicing and rehearsing all day, heating the voice before singing, etc. There are some true recordings when I was 16. Now I laugh at my own voice. You can change. Fate had it all planned. It was that God was enlightening me. At that time could not work. I was very young in my studies. In Cuba in the 90s, I received very little information about what was happening abroad with music. No one knew of the existence of Madonna, or Aretha Franklin, Patti Labelle, Prince. Only my teacher, her daughter and few artists on the island. By the time I got to know the existence of all of them myself, I said ‘Oh my God, what I have been missing?’ and I thanked God. Twist Online: Tell us about your recent release, “Pinceles en el Suelo” (Brushes on the Ground)? Erick Jon: It is an album full of emotions. I leave myself through all that emotion, not knowing where my own feelings will guide me. I turned to my father, who is not a composer of exact words, but a poetic life. In his poems and reflections that writer has found a path, a way to make it my melodies. Today we work together and he is the author of almost all the lyrics, which I put to melody. We talk a lot about my ideas, and what I want. He also gives me small steps in the composition of the lyrics, but very little. Each has his gift, and my father found his own. ‘Pinceles’ is everything, very emotional to me. It shares some very personal problems. My love life is very stormy. I let fly my ideas and imagination and a good work comes true. But I wanted to reflect my Cuban culture, where you could hear that there are very traditional sounds of Cuban music that are very beautiful where you can burn with the kisses of the other person. Twist Online: How is the response? Your fans must have liked your latest songs? Erick Jon: In Cuba, yes. Many of my friends that are singers have had the good fortune to be part of that list of known artists. Many of them have said to me that I someday will also be a part of that list. ‘Erick, you will someday go into that consecrated list!’ Although some people have me already at that level, but I have a lot to work on even still. Internationally only a part of them in Mexico, Colima, Tecoman; Spain; Finland, until now. Like everything, I aspire to more. I have heard my music in Spain is outperforming there. Much work internationally is what I need, but I feel good, very good that my country is the only place where every time a concert is a success. Our own country will always be the foundation of our career. But every person in the world who has never heard me and now hears me says ‘Wow, where have you been?’ That gives me more strength to continue with it. For this I need a manager, and an international music promoter, which is what I’m looking for. Someone who understands me, my art, my music and to help me move on to conquer the world. Twist Online: You performed with a variety of artists in different countries. What was your best experience? I can not forget to mention the countless times sharing the stage with one of the most internationally renowned jazz musicians, my friend Bobby Carcases. Another great experience, with Omara Portuondo. Just me and her, an important event in Cuba. The Diva of Cuba. One of the people who have supported me in my career. One other in Mexico was at the National Auditorium in Mexico, with Armando Manzanero, also singing one of his classics, in front of more than 10,000 people, thanks to my friends Carlos Fernandez father and son. Twist Online: You love performing live on stage or working in studios in your music? Erick Jon: What I love most is performing live, in front of my fans. They enjoy watching me live, they say, more than listening to my CD. The stage transforms me, when I perform live. When I finish, I am exhausted. Then I realize how much energy I have shared. The only thing i want is to do is go to sleep, but i love it. 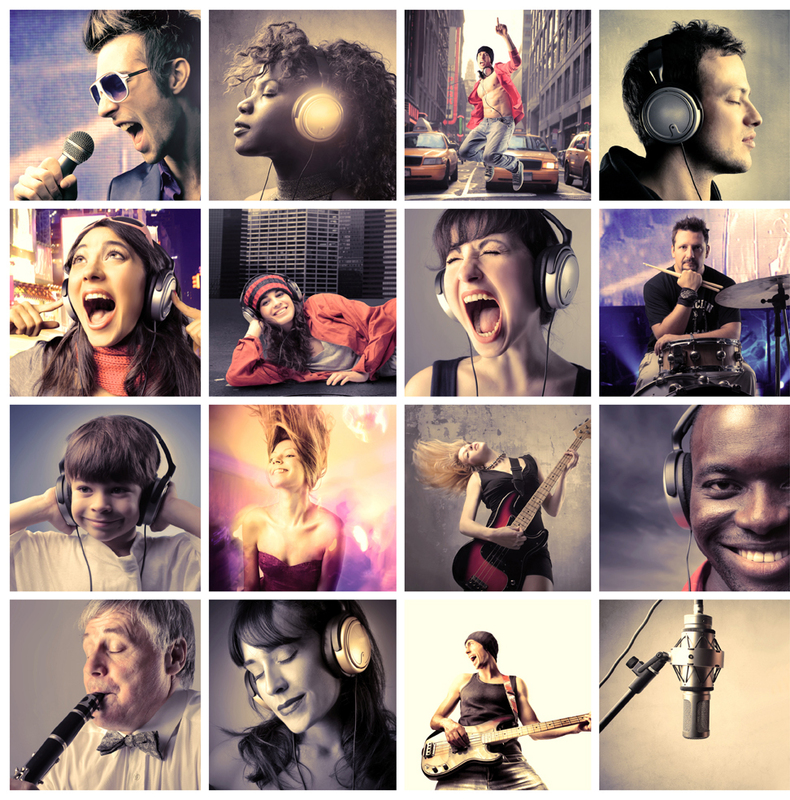 Twist Online: What’s your favorite musical genre and what is the reason? Erick Jon: The bolero is one of the genres that breaks loose more energy and my feelings. I knew that I could fuse Bolero genre with jazz and this fascinated me. These two genres could allow me to immerse myself in depths of my feelings. I knew I could lose myself enjoying the lyrics and their messages, in addition to its melody. In my studies in Finland, this was where I learned that the union of these two musical genres, the Bolero and Jazz were merged into Cuba. Twist Online: You got proper education in music, graduated as vocal teacher. How much effective it proved for your music? Erick Jon: Good question, as reflected in the chorus that I have created and prepared, choral direction includes the voice, the meaning of each word, color, diversity. All this means I can be baritone, meso or tenor, as those were all born with me. This proves that I have something magical in my voice. I’m ready to sing to the world! Twist Online: What has been the biggest achievement in your career? Erick Jon: I may be the only Latino who has conquered Finland, in a reality show in 2005 that was called “PopStar,” in which I reached third place, maybe. Still, someday, not yet, because I have a long way to go, much to study, much to listen to. Twist Online: Any new projects you are working on? When it will be released? Erick Jon: “Pinceles en el Suelo” is new, and has not been published yet. I am preparing my first live DVD, which will be recorded in Cuba this fall. I am sure that you and the world will like it. At the moment the CD “Brushes on the Floor” is in the process of release. Thank you for your posting and wishing him successes ..thank.